Making its debut for the very first time, the Aloha Classic Brief by Elomi in Aqua is carefully crafted to combine superb fit with a striking design. Be the envy of the beach with the zesty tropical designs that will have all eyes on you! 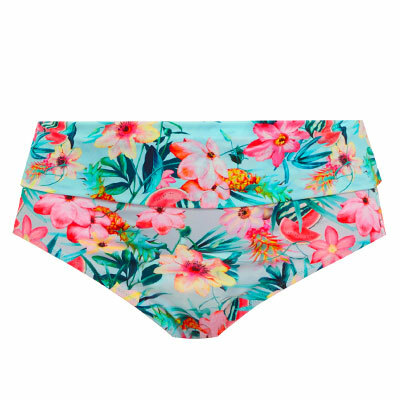 Retro styling features the classic high waisted briefs and bandeaus thus making it a definite must-have this swimwear season. Earn up to 1060 Points.